Many real estate agents view a home inspection as a necessary evil that can delay or derail a sale serving only to point out problems to potential buyers. 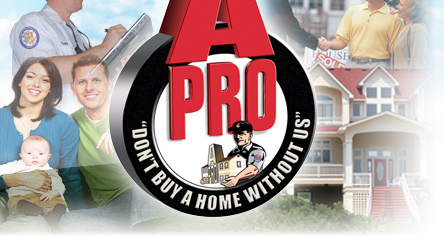 At A-Pro, our home inspection franchise concept adds value, and promotes the sale of a home, we do not hinder it. We believe, that all homes have a value and since we are not appraisers, we feel it is our job to not only report the problems, but to also point out the positive attributes of the home. Therefore, we provide our clients with fair and balanced reports. The purpose of a home inspection report shouldn’t be only to point out problems. It should be to provide a fair and balanced evaluation of a home’s condition. That’s why the A-Pro home inspection franchise reporting system points out the positive attributes of the home as well as the problems, giving our clients an accurate analysis of the homes anatomy. Most Real Estate agents have complained to us over the years and we listened. Why get a home inspection only to find that it suggests you hire someone else for “further evaluation” from an electrician, plumber, etc? This is the response of far too many inspectors who are not properly educated or trained to provide a complete home evaluation. With the A-Pro home inspection franchise system we tell our client if a problem exist or not, no ifs, ands, or, but’s about it. With A-Pro, one call covers all. We guarantee no 3rd party further evaluations will be necessary. 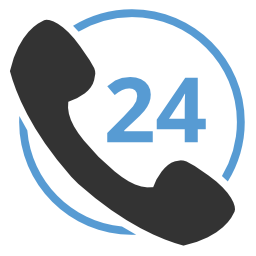 That saves our Realtors® time, money, and a whole lot of hassle. For enhanced listings, our guarantee goes a step beyond other home inspection guarantees by transferring protection to the buyer. Our guarantee ensures that unexpected repairs come out of our pocket, not theirs. That’s a key selling point that gives buyers true peace of mind, and it’s a cornerstone of the A-Pro inspection. It has been shown that pre-inspected listings sell faster and for more money than comparable homes that were not pre-inspected. With A-Pro’s Exclusive“Certified Pre-Owned Home® program“, agent listings stand out and attract the attention of more and more serious buyers—AND they love us for this. A-Pro home inspection franchise reports are clean professional and easy to understand. 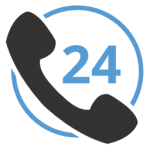 Agents have told us time in and time out that “A-Pro reports are simply the best in the business and make them look good”. A-Pro reports provide important valuation information that help real estate agents justify the selling price of the home to their potential clients. Generally, the closer a home is listed to its fair value, the faster it will sell! There’s nothing worse than an unexpected issue curtailing an otherwise smooth sale. A-Pro reports alert buyers of issues (and benefits) beforehand and can help eliminate roadblocks that delay or prevent a sale. Any questions at all, just call our home inspection franchise development team at 1.800.793.2776. A-Pro home inspection franchise services since 1994.